Cross-platform application is known for its functionality provided for every user with different operating system platform. Make your app functionalities stronger with Cross-platform application Development service. Hence cross-platform feature helps in building the dynamic application for the trending market place. W3villa provides end to end solution for the cross-platform app development services across all devices. We curate application to get better with the interface and smooth functionality. We have a professional team who has extensive knowledge and experience to build cross-platform applications. The application at W3villa goes a long way in delivering the application with customized features based on your business requirements and needs. We deploy a flexible and robust backend framework which will help you in making any changes for one device which can reflect in other devices as well. Bring Your Device (BYOD) is rising among the corporates; hence, our developers use the latest technology and agile development method to make the process easier with the cross functionalities. Mobile operating systems are frequently updated, and the applications are compatible with the new system. By choosing Cross-platform Desktop App Development Service, you can achieve market penetration and be unique in the competitive market. Our skilled and qualified professionals work on highly interactive and impressive interface using the latest software, tools, and technologies. We follow a customer-centric model that make the application development process comfortable and build at an affordable price. 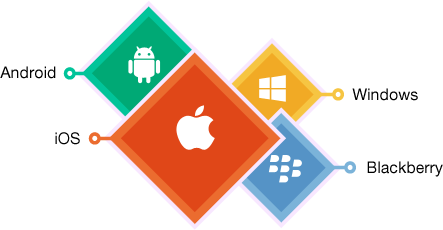 Make your app functionalities stronger with Cross-platform Mobile application Development Company At W3villa.